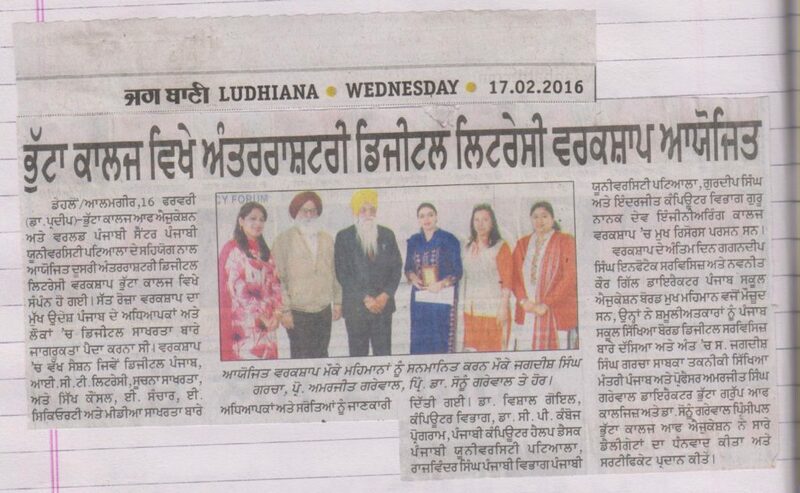 In collaboration with: World Punjabi Center, Punjabi University, Patiala. 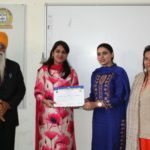 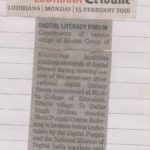 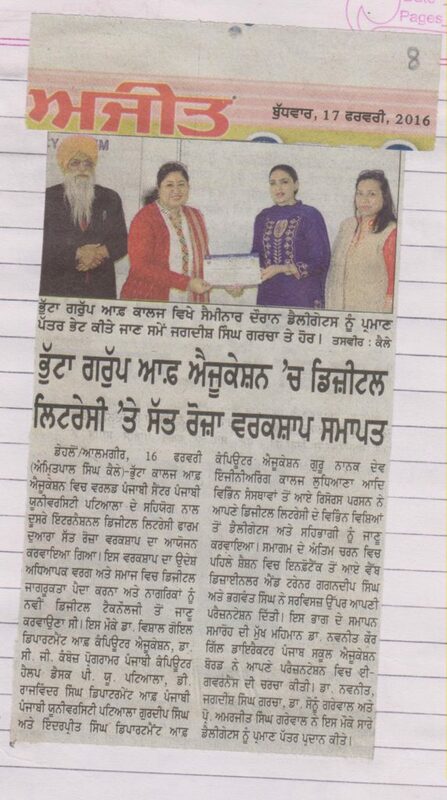 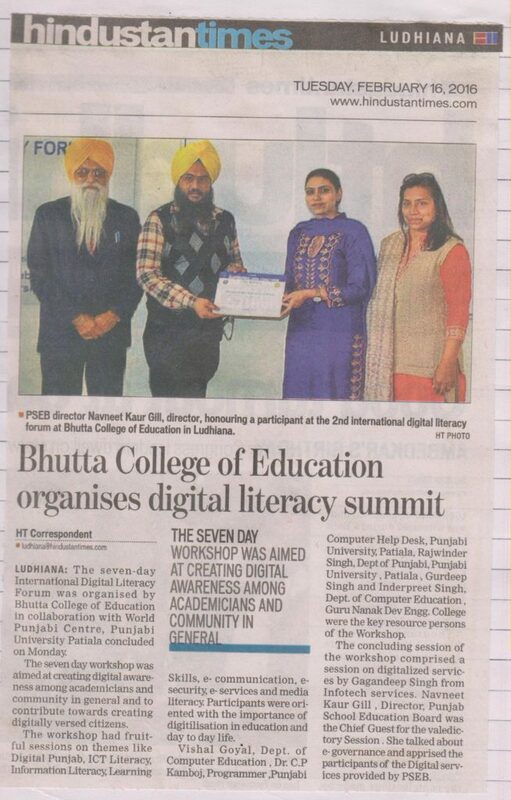 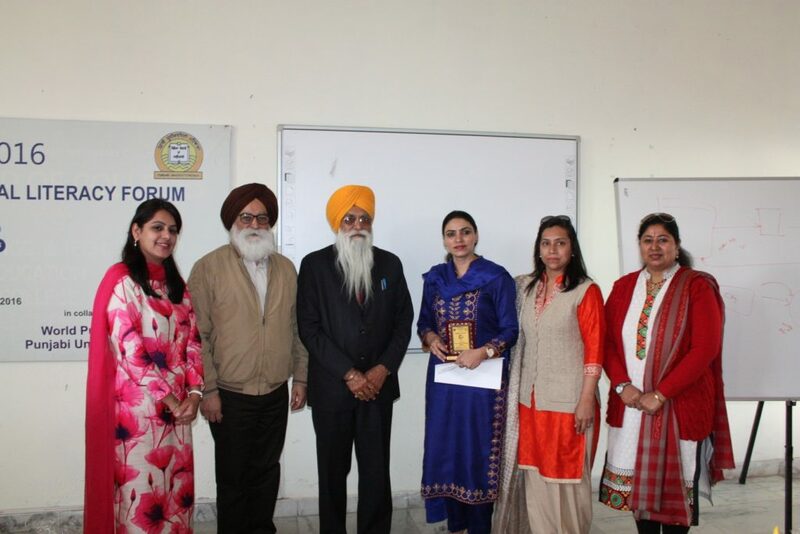 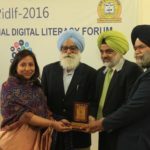 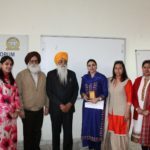 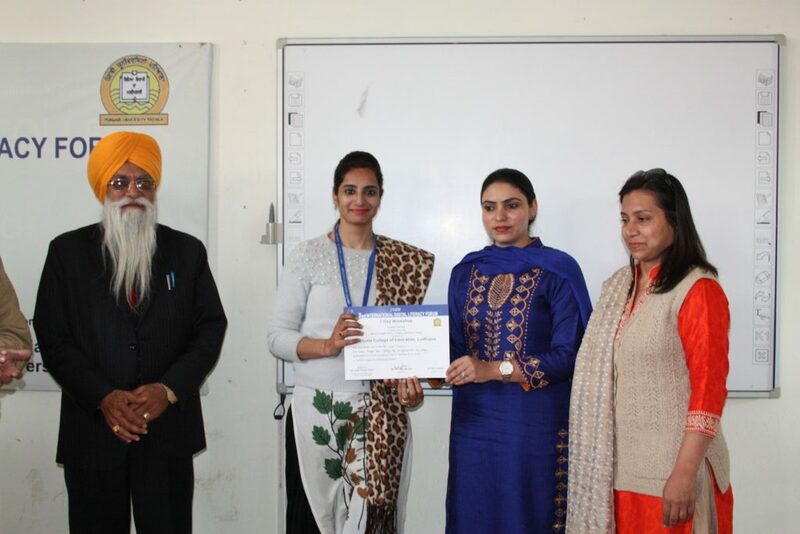 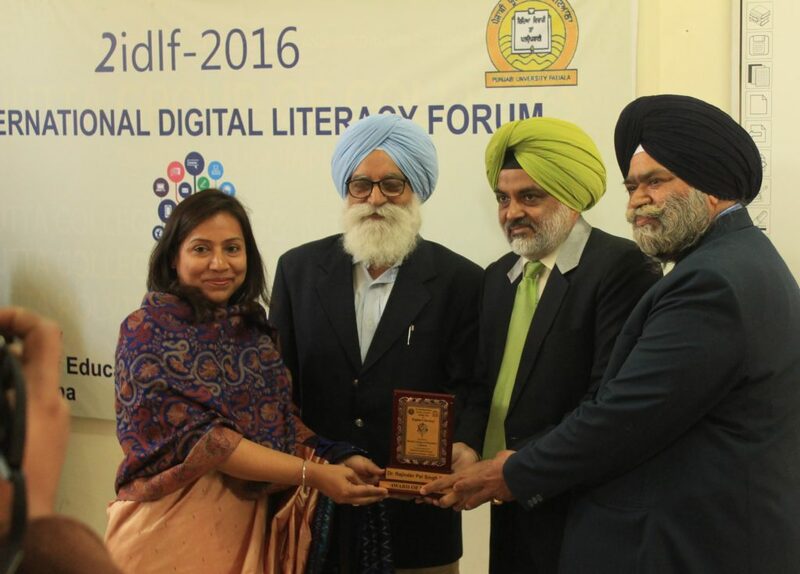 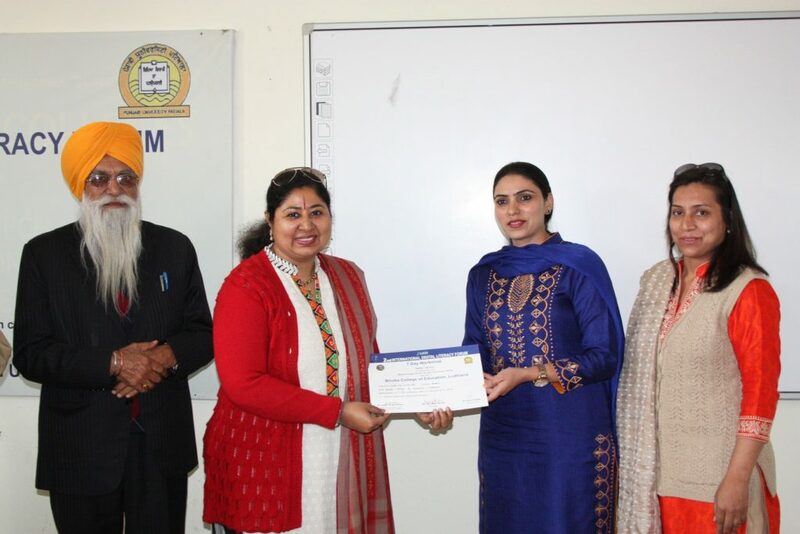 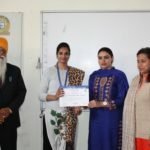 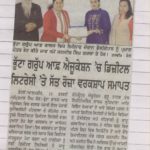 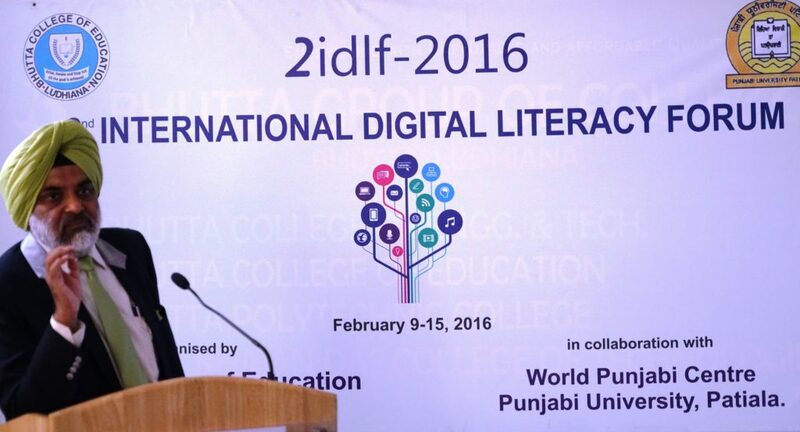 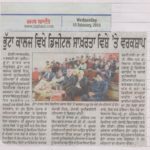 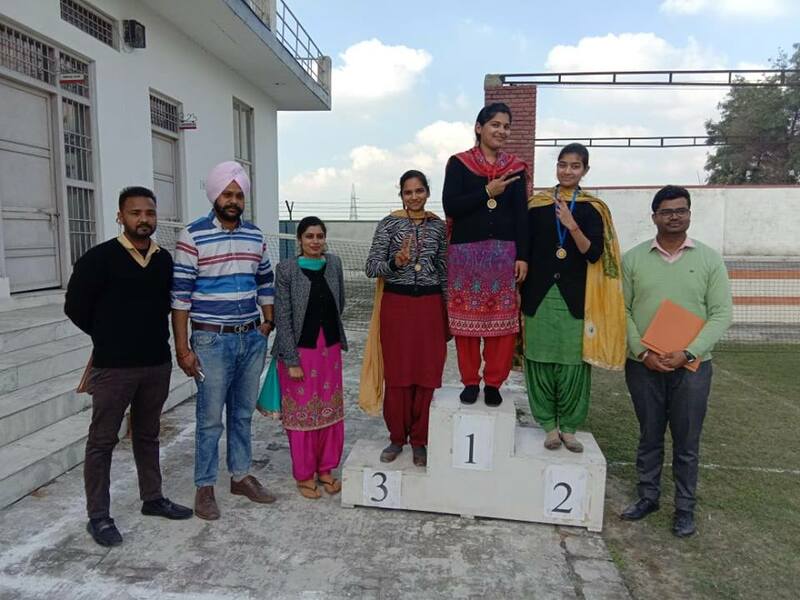 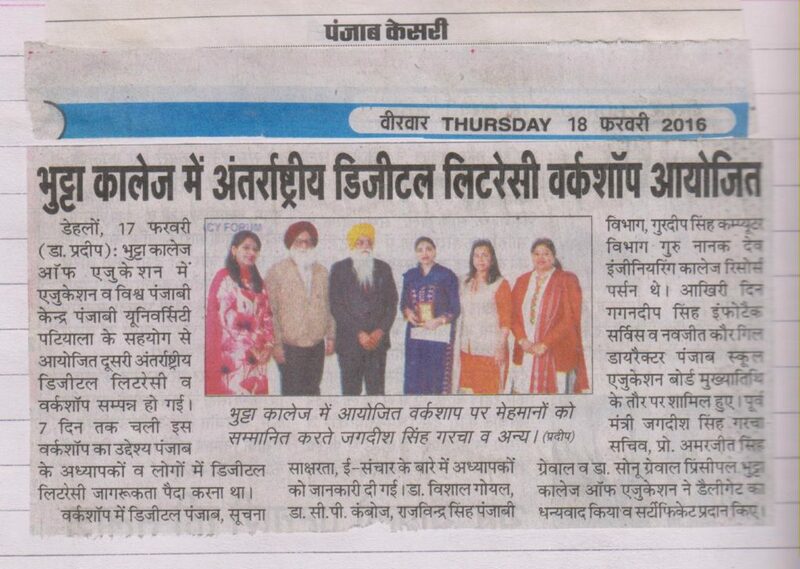 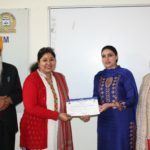 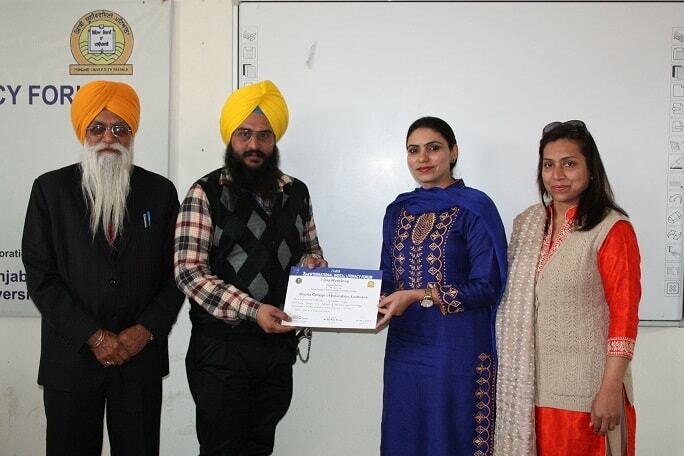 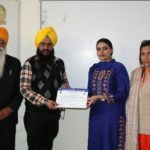 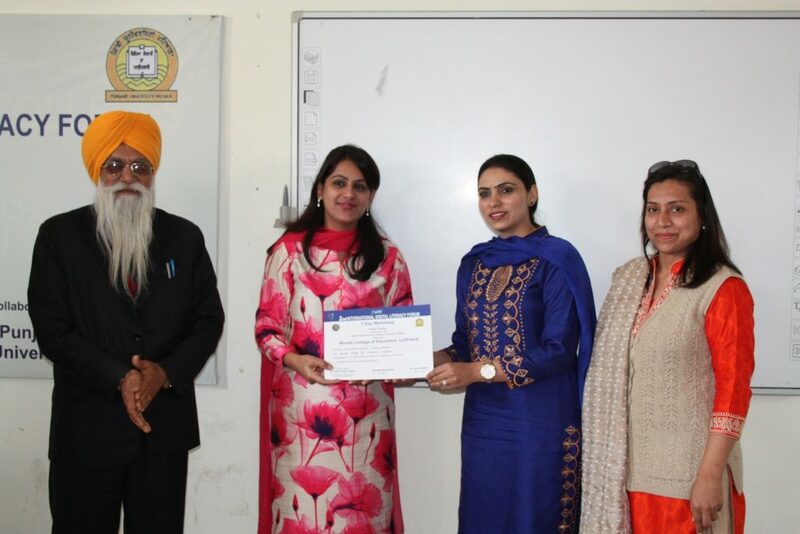 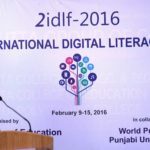 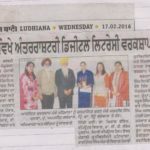 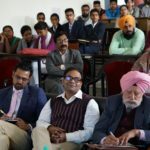 A Seven day workshop on Digital Literacy was organised by the 2nd International Digital Literacy Forum and IQAC cell of Bhutta College of Education in collaboration with World Punjabi Center Punjabi University, Patiala. 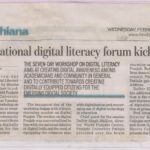 The aim of this workshop was to create digital awareness among academician and community in general and to contribute towards creating digitally equipped citizens for the emerging digital society. 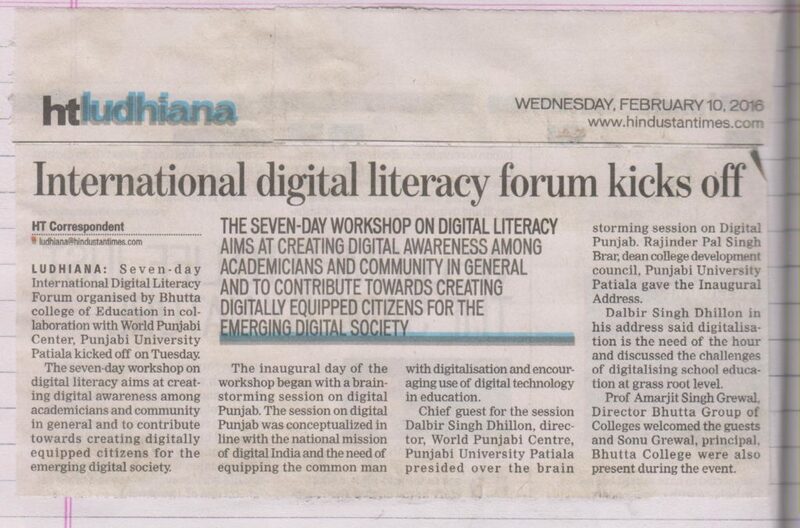 The inaugural day of the workshop began with a brain stroming session on digital Punjab. 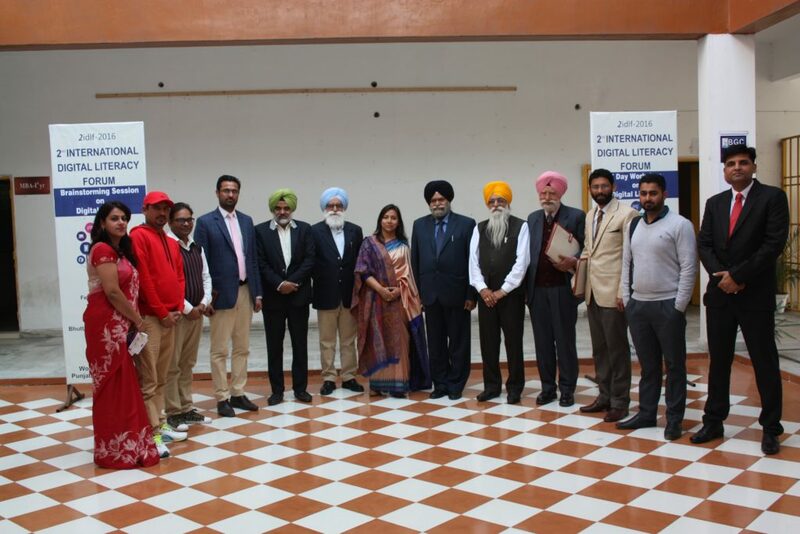 The session on digital punjab was conceptulized in live with the National Misson of digital India and need of equipping the common man with digitalization and encouraging use of digital technology in education. 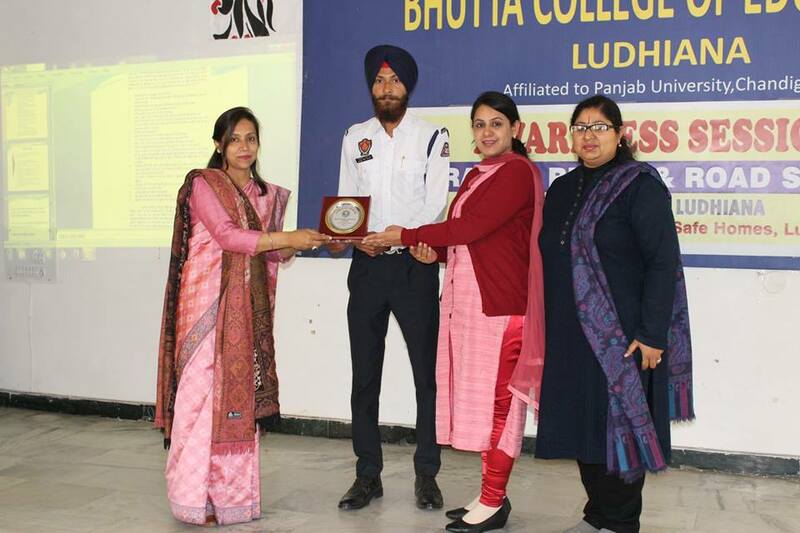 The chief guest of the session was Mr. Dalbir Singh Dhillon, Director W.P Center, P.U Patiala. 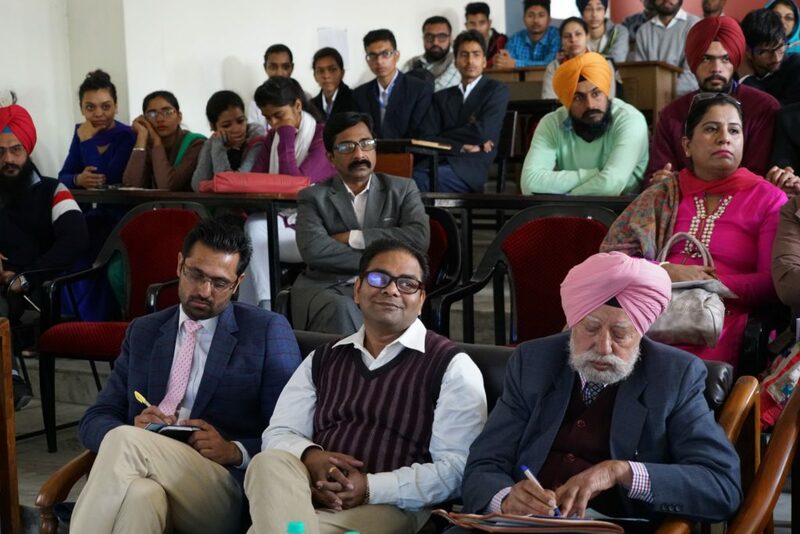 He presided over the brain stroming session. 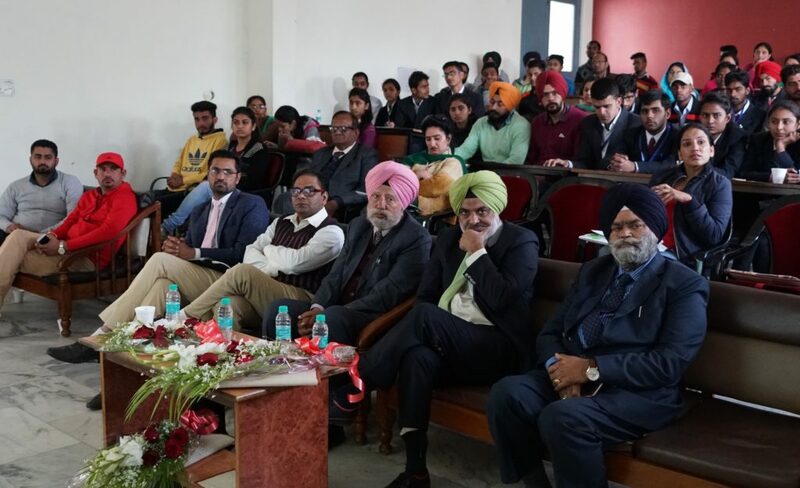 Rajinder Pal Singh Brar, Dean CDC, P.U Patiala gave a inaugural address. 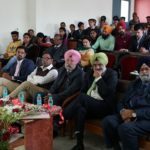 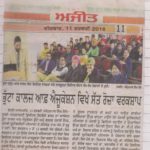 S. Dalbir Singh Dhillon in his address said digitalization is the need of the hour and discussed the challenges of digitalizing school education at grassroot level. 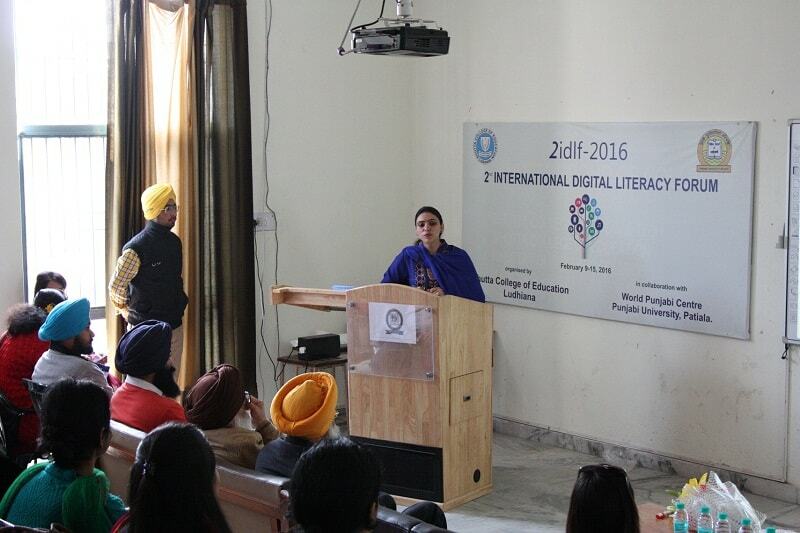 On the second day of this workshop Mr. Sameep Kaur delivered a lecture on E-communication. 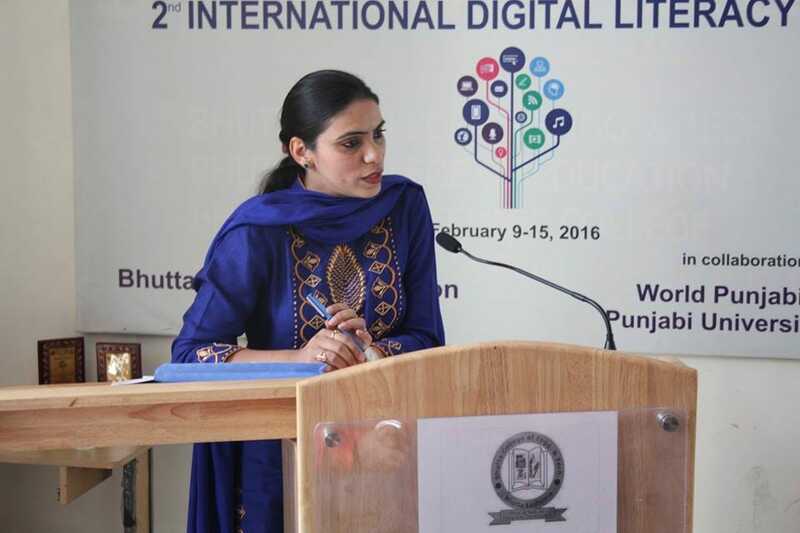 In which she explanied the traditional to modern ways of communication. 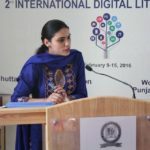 She told about the importance of social networking which is very helpful to communicate with the whole world facebook, blogging and chating are the ways to get knowledge about the whole world. 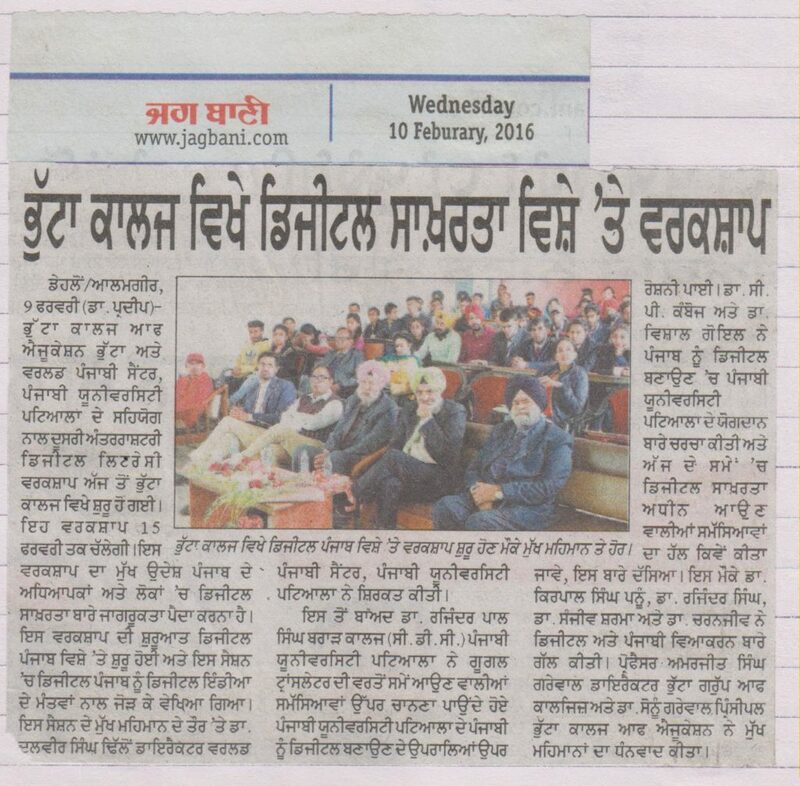 On the third day was of the workshop Mr. Gurdeep Singh from GNECE, Ldh gave knowledge about the research shortcuts. 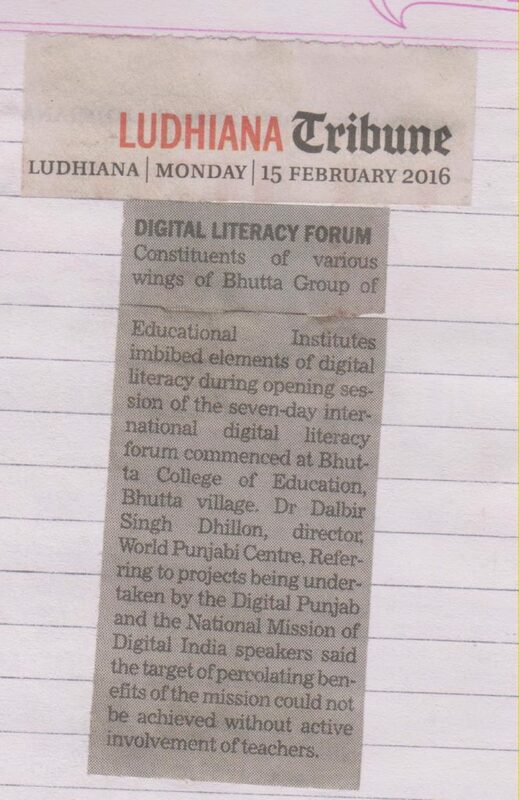 Two session were organised on third day. 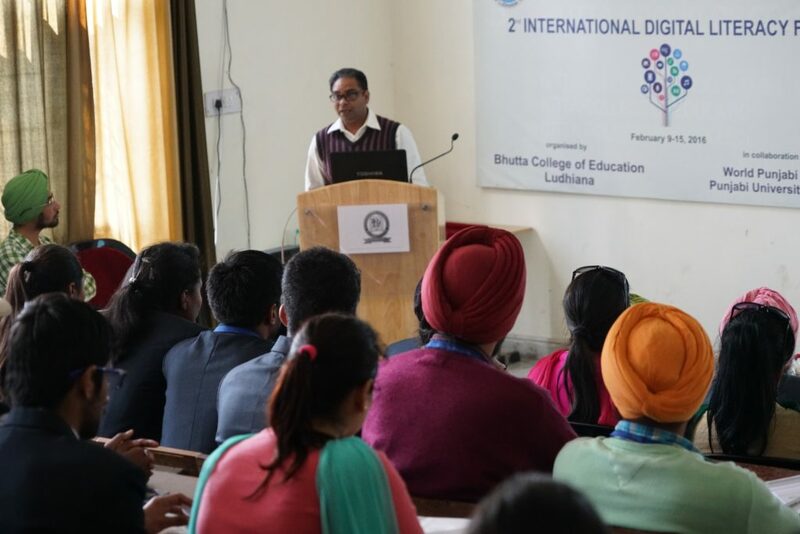 One was Demo session and other was practical session. 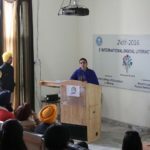 In demo session Mr. Gurdeep Singh told about various shortcuts to use search engine Google.com to do & find various research related articles and many more. 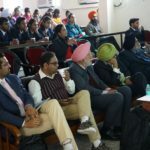 The theme was Advanced Research. 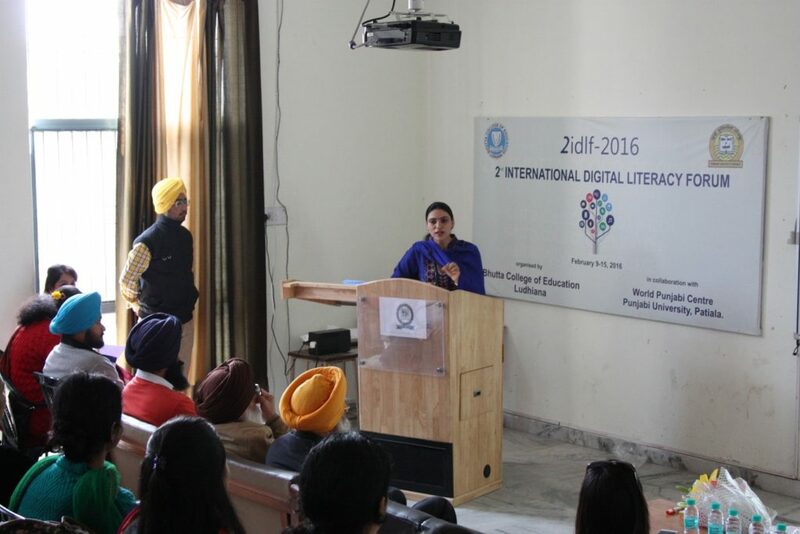 On 14/2/16 Mr. Inderpreet Singh from GNE college, Ldh developed a lecture on Role of Social Media in Education. 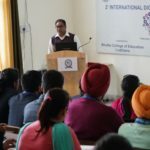 He stressed on the use of social media like facebook, twitter etc to increase knowledge in various fields (Blogging, Moodle etc) of education. 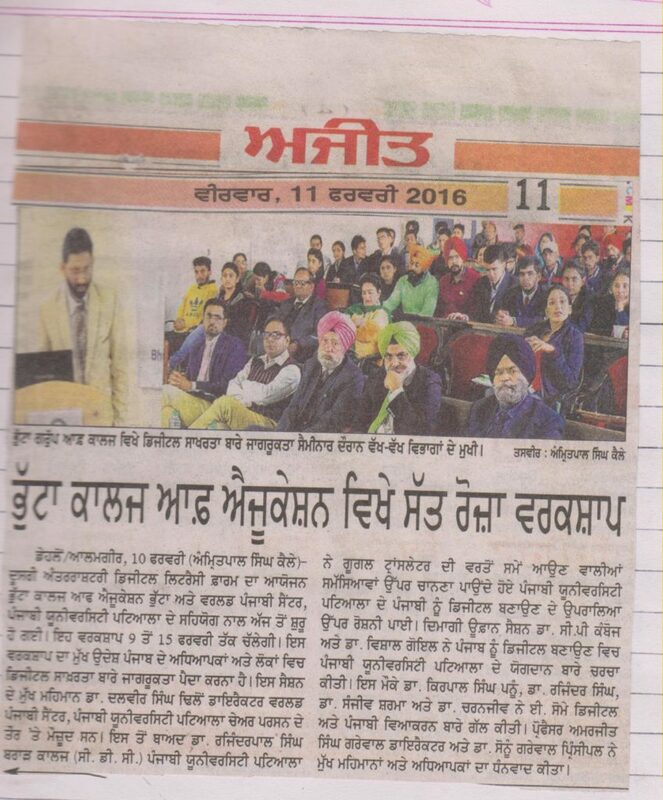 On 15/2/16 Mr. Jagjeet Singh enlightened the delegates about various e-services. 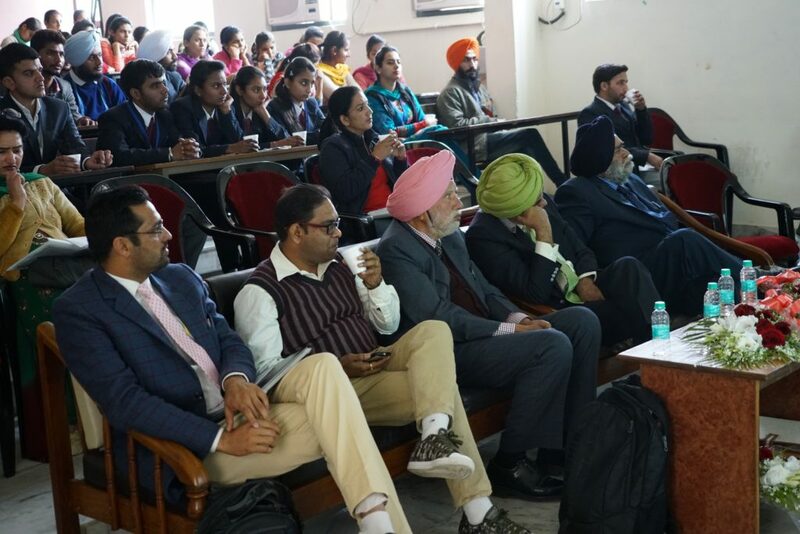 The main objective of their lecture was how to use available e-services on line for eg- email, e-govt services like (passport online, adhaar card online etc) the benefits of these services are Mannual work is reducing and network e-servicing is increasing. 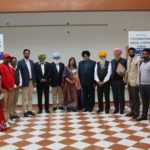 With the help of this time and money, energy will be saved. On last day of the workshop Mr. Navneet Kaur Gill Director PSEB was the chief guest of valiductory session. 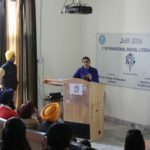 She talked about e-governance and added e-services is PSEB also. 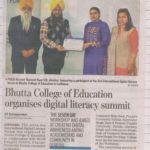 She apprevated the efforts of Bhutta Group of Colleges for contributing in the field of Digital Literacy by holding them kinds of workshops.